The authors are convinced that developing new products and gaining more benefits out of them is an urgent necessity for our Western economy. If Europe still wants to play an important and primary role in the world economy, it will have to focus on its core business. Therefore product innovation and the corresponding entrepreneurial reflexes should be common property of all researchers, engineers and business man, constituting the class of people that are responsible for the creation of added value. Innovation comes with uncertainty, risk and difficult decisions to make. The emphasis in this book is on the practical approach. In the first part a proven successful approach is presented on how the product development trajectory should be handled. A second part will discuss the valorization trajectory of new developments. 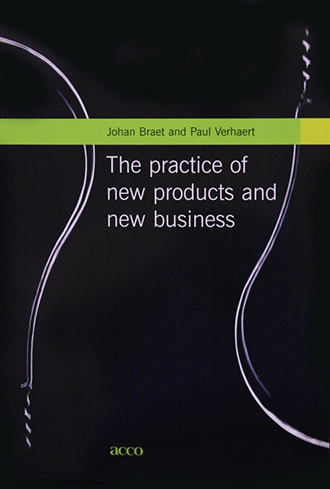 In order to keep the book readable and practical, the description of the tools and methods used at several locations in part 1 and 2, are described in a separate third part.This book is aimed at students in development, economics, social sciences, technology and anybody interested product innovation. Johan Braet became CEO of the Antwerp Innovation Center, the business incubator of the Antwerp University, in 2000. He is professor at the Faculty of Applied Economics where he is mainly responsible for innovation management. Paul Verhaert founded the company Verhaert in 1969. His company developed more than 400 innovative products, leading to more than 100 patents. For the last 20 years, he lectures a master course of Integrated Product Development at the Antwerp University. All this is illustrated with more than seventy examples of products from different industries, designed by of for Flemish companies. Twelve Flemish entrepreneurs testify of their approach in managing product development and industrial design – from determining a strategy and inventing new ideas, to conceptualization, elaboration and implementation. 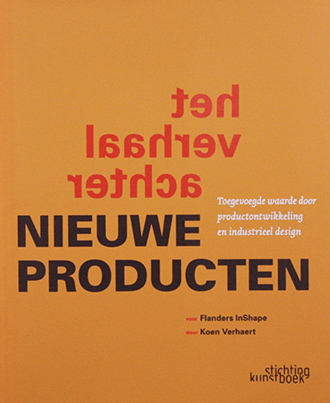 “Het verhaal achter nieuwe producten” is realized at request of Flanders InShape, the Flemish competence organization for product development and industrial design.